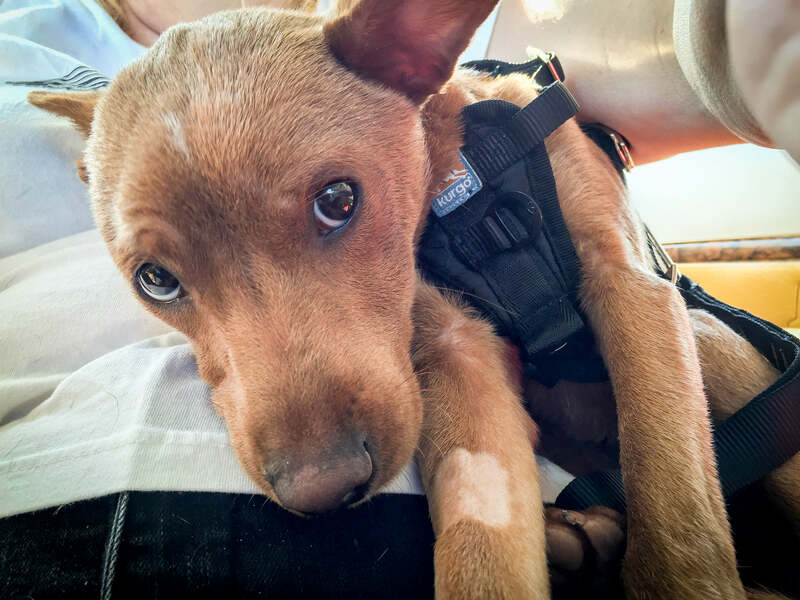 Three more dogs saved from a kill shelter and flown to new forever homes. Now that’s not a bad days effort. 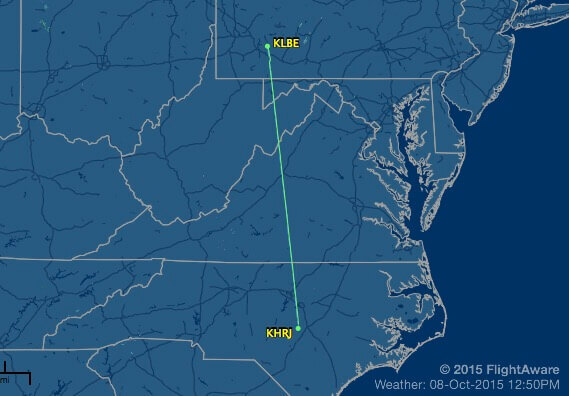 This is the video and story of the flight we just completed. Thank you so much for being a patron and helping to support our work and these efforts. This is a wonderful rescue story that our amazing patrons at Pilot.dog helped to support. 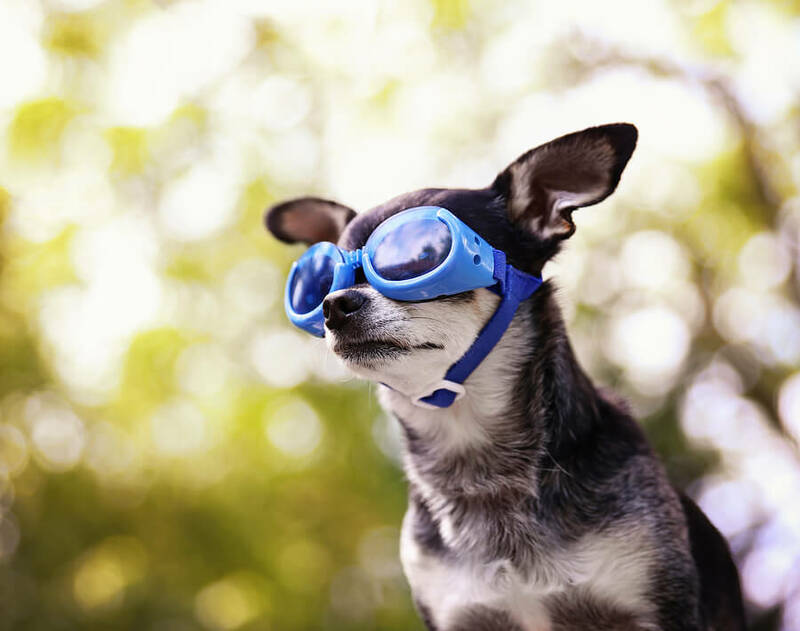 Savings dogs from death is something that happens on a daily basis by pilots, awesome dog rescue operations, open hearted volunteers, and caring shelters. But most importantly it is the kind people who open their hearts and homes to adopting rescue dogs. Want to adopt, go to PetFinder.com to locate your new sweetheart. 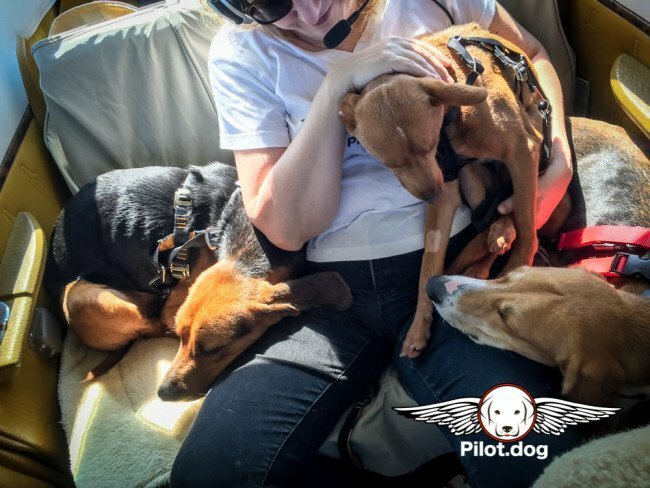 Our latest dog rescue flight was to transport three dogs who were in a shelter on Code Red. That’s not a good code to survive from. The dogs were saved from being put down by Pamela Knichel of Pet Match Rescue in Trafford, Pennsylvania. Pam had volunteered to pay to have the dogs moved from the kill shelter to a boarding facility and was paying to have them stay there till they could be relocated to safety. But funds were running out and they had to be rescued quickly or face going back into the kill shelter and face an unfortunate outcome. Dog rescue shelters have to deal with the unfortunate reality of having to euthanize dogs on a regular basis as the shelters become full. It’s a harsh reality laid at their feet by the factors of space, time, and economics. Dogs that are not adopted locally have to make way for new dogs coming in. It just is what it is and I personally don’t blame them for what they have to do. But what my wife and I can do is be volunteer pilots and join the many pilots around the country who selflessly fly dogs to needed care or forever homes. 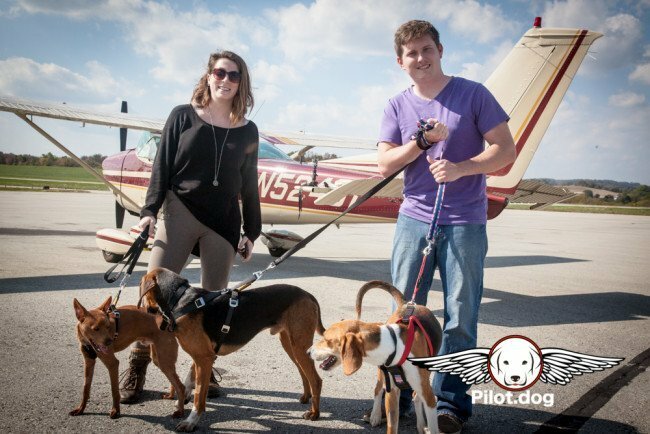 On this mission we flew Red, an 18 pound Basenji Mix, Red, and two larger Treeing Walker Coonhounds, Oliver and Hunter, from North Carolina to Pennsylvania. All the dogs were found abandoned, two separately in a field and one in an apartment complex. None of the dogs had chips and none of the owners contacted the shelter or came forward to claim them. 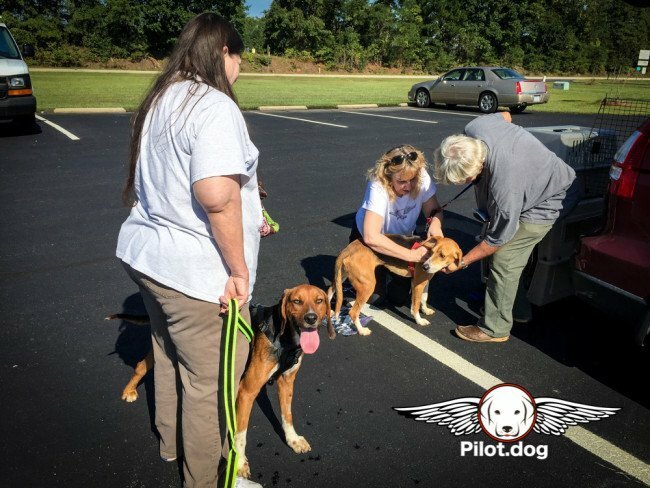 The sweetest couple, James and Marie, volunteered to bring the dogs from Fayetteville, NC to Harnett Regional Jetport for us to pickup. The work that couple does is so kind and you can tell they love what they do. James and Marie had never met the dogs before this trip but they bonded with them on the way. They treated them as old friends and like they had known them forever. What we learned about the dogs when we picked them up was Red loves to be held and cuddled and Oliver and Hunter will snuggle up on you and sleep, if you let them. Getting the dogs in the plane for the 2.5 hour flight was quite an experience. The plan was for Red to sit up front but before flight he decided he wanted in the back where all of the action was. Once in flight they all settled down and slept. Pam sat there and petted and rubbed each dogs head so they knew they weren’t along and everything was ok. Every now and then, they’d wake up and look at Pam for reassurance and she’d just love on them even more and they’d go back to sleep. We were both so privileged to be able to help them transfer into a better life while going to a forever homes. The flight was long and we faced changing weather on the way. Clouds began to build over the mountains and we spent some time in and out of the clouds. We could not go lower and I didn’t want to go too high for the dogs comfort. All of the dogs awoke as we landed at the Arnold Palmer Regional Airport in Latrobe, Pennsylvania. I love that airport. We parked our plane and refueled at Vee Neal Aviation. For you pilots out there, it is a great FBO to stop at. Wonderful people, free fresh cookies and drinks and cheaper fuel. Becca, the Customer Service Representative met us with water and treats for the dogs. It’s so nice to go somewhere that is dog friendly!!!! Dane and Rachel came from the Pet Match Rescue to pickup the dogs. You would have thought the dogs had known them forever. It was like they were going home. Red was actually going to to be fostered at Dane’s house until he was adopted. Oliver and Hunter were going to The Dog Stop to be boarded and from Pam Knichel says, it is a “wonderful facility”. 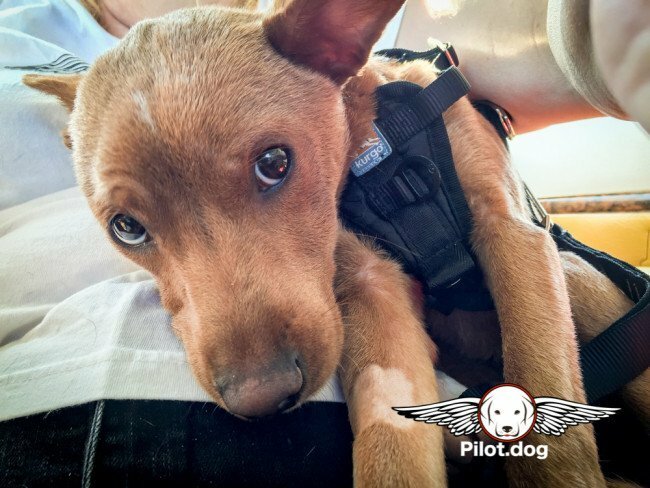 If you would like to be part of our nonprofit flying efforts, please come and be a supporting patron by visiting http://Pilot.dog. Together we can save the lives of more dogs in need.